The Taco John’s on State Street in Bismarck, North Dakota. Opened in 1989, this was the third Taco Johns in Bismarck. It underwent a major facelift a few years ago. The site was formerly home to an Exxon Mobile Station. 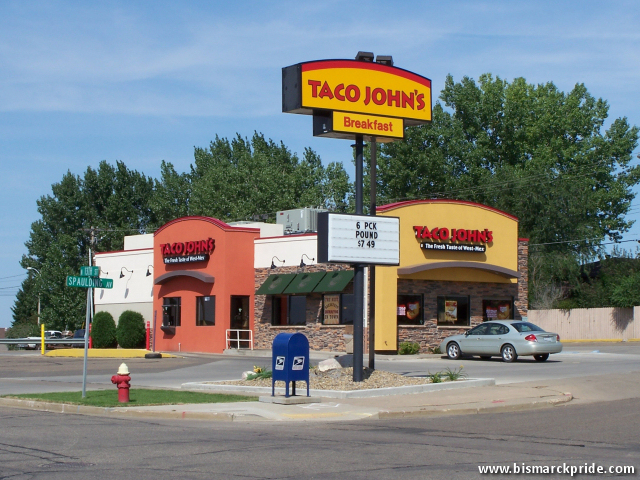 It is one of 5 Taco John’s locations in Bismarck-Mandan.